Be ready to track vocals whenever inspiration strikes. Equipped with a custom vocal booth, super-premium microphone collection, and classic analog signal chain, Studio B is our flagship Vocal Recording Suite. 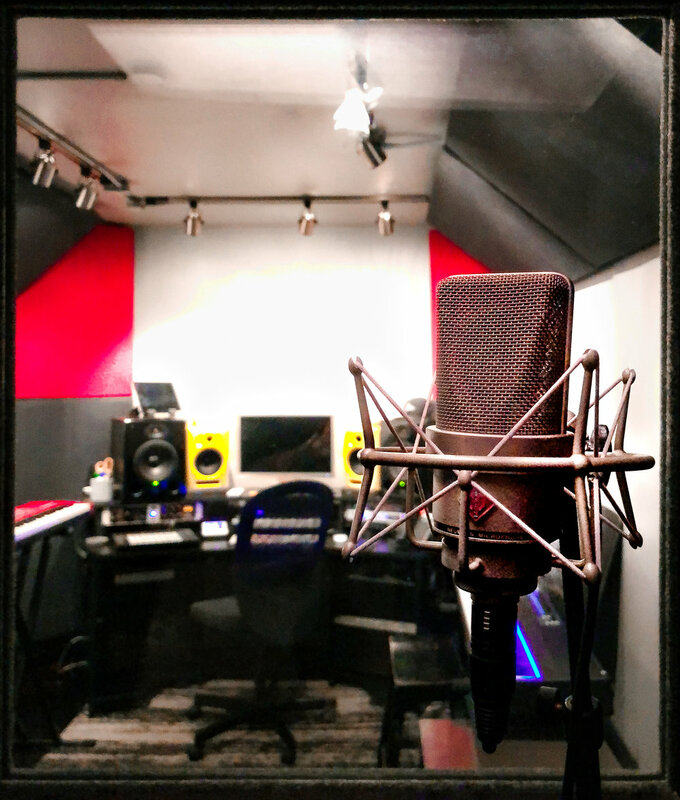 Since 2014, Studio B has been our most affordable studio for vocal production, voiceover recording, computer-based music production, and writing. It's like making records in your apartment... if your apartment had a vocal booth and custom tuned acoustic treatment. And no neighbors. Our fully isolated, custom-built vocal booth allows you to track vocals with uncompromising vocal clarity and zero mic bleed. And we have an industry-leading Neumann TLM 103 so your recording will sound even better than it did in the headphones. Take a look below for our full list of gear ready for your session, from our microphones to our tube channel strip and software collections. Studio B is fully loaded with software instruments, effect plugins (including the full suite of UAD plug-ins), all major recording platforms, an all-SSD rig, 2 sets of reference monitors, a full-sized keyboard, and an Ableton Push. Wondering if Studio B is the right studio for your project? Drop us a line, and we'll get in touch!